Hello everyone! 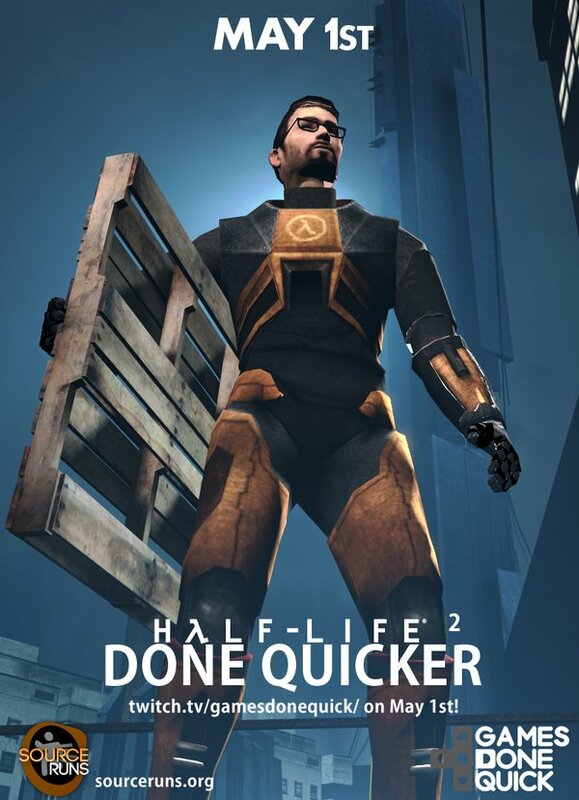 Today, we announce the release date of Half-Life 2: Done Quicker; our new speedrun of Half-Life 2 in 40 minutes and 49 seconds! Usually, we don’t announce the release dates of our runs, as we just upload them when they’re ready, but this isn’t any ordinary release. Before we make the run public on YouTube, HL2DQer will premiere live on the Games Done Quick Twitch at http://twitch.tv/gamesdonequick. Here’s how it’s going to work: The GDQ staff, in this case Cool Matty, might have a short announcement to begin, but we’ll start with a short explanation of saveloading, save-buffers (aka snail noclip), and j-clip, then premiere the run, hold the commentary, and finish with a Q&A for the runners available during the stream. The event will take place on May 1st, 2016 at 12PM EST, and will last 2-3 hours.